The focus of preaching is to identify and remind ourselves of the nature and character of God as revealed in Jesus. The content of preaching will be Scripture as it points us to our Triune God and our life in him. Such preaching is not primarily about conveying information (as is the case with teaching). Preaching aims to strengthen and encourage in the hearers a response of faith, hope and love on the basis of who our Triune God has revealed himself to be: our Lord and Savior. Note that Scripture should be the primary content of the message preached. 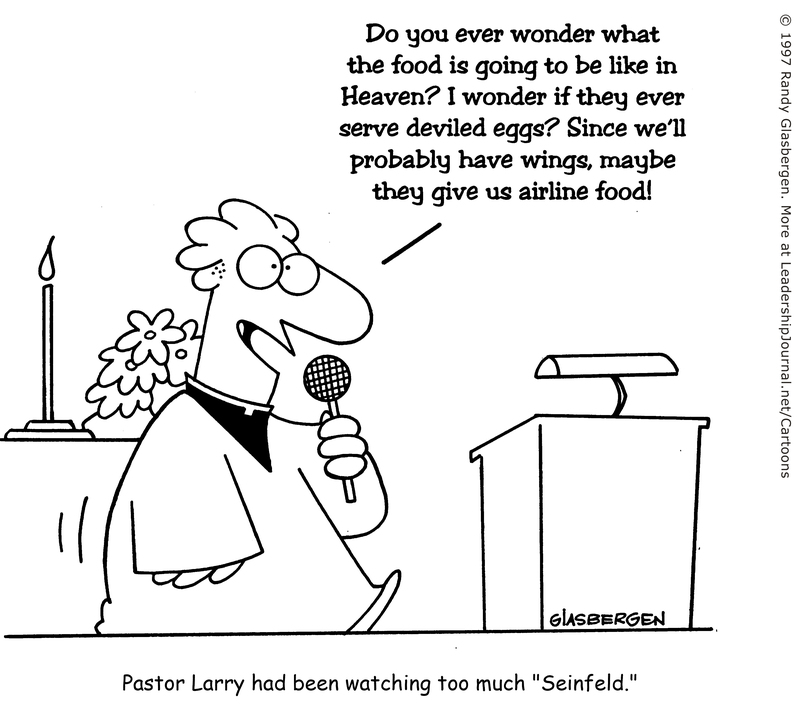 A good way to ensure that this happens is to structure your preaching using the Revised Common Lectionary (RCL). To help you do that, we publish each month here in Equipper four or five sermons that sync with the RCL. Here is some related information that we hope will both encourage you to use these sermons and assist you in doing so. Leadership Journal cartoon, used with permission. For each Sunday of the year, and for all special worship days in the Christian calendar that don’t fall on a Sunday, the RCL provides a list of Scripture passages to be read aloud in the worship service. Over three years, these lists take the congregation through the grand sweep of the Bible, thus exposing members to the “whole counsel of God.” Reading these passages aloud each week in the worship service is powerful (particularly when read well—choose your Scripture readers carefully!). There are multiple ways to integrate the reading of these Scriptures into the service, but, most often, you’ll want to have them read prior to the sermon, which will then expound on one or more of the passages read. Some congregations interject the readings between songs. Others do the readings in a stand-alone block. In others, the passage(s) being expounded on in the sermon are read by the preacher. There are multiple ways to handle these readings—choose one that fits your worship style and framework. The sermons we publish in Equipper are expository sermons, meaning that they expound on one or more of the RCL-specified passages of Scripture read that week. Some of these sermons unpack just one passage, others reference more than one. Since the congregation will have heard the passages read prior to the sermon, the preacher has the advantage of being able to reference back to the readings, thus transitioning smoothly from readings to sermon, keeping the focus on the Word of God. Though expository, a sermon is not a Bible study. Sermons should focus on the passage in a way that seeks transformation, not just information. In some cases, the goal will be inspiration, in others exhortation, but the goal is always to preach with passion and conviction. For that to happen, the Word of God must first get into the preacher! In that regard, one of the advantages of preaching the RCL is that you’ll know well in advance which passage(s) you’ll be preaching from, and that will give ample time to meditate on and pray about the passage(s), thus fueling your passion and imagination as the preacher. Most of the sermons we publish in Equipper provide more material than you’ll typically use in your sermon. We do this to provide background information to benefit the preacher’s preparation. 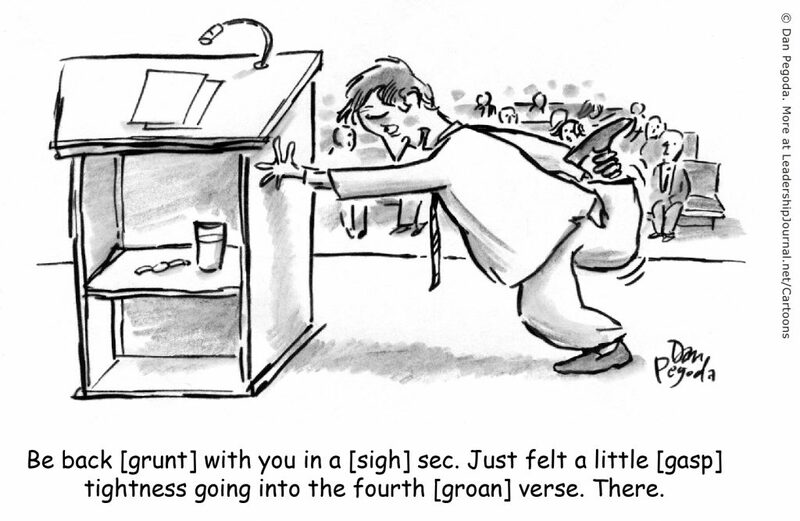 So preachers, pare down the material to fit your time frame (length of sermons vary from place to place, culture to culture, but the trend is toward shorter sermons). In paring it down, remember that you don’t have to cover the entire passage that was read in the Scripture reading. Nor do you need to re-read what already was read—you can just comment (expound). Using the RCL has the advantage of giving you a preaching plan that stretches into the future. You’ll find the readings for the years ahead at http://lectionary.library.vanderbilt.edu/. Note that the lections sync with the Western-Christian liturgical calendar. With this preaching plan in place, you can recruit a team of preachers (if that works for your congregation), with each team member knowing the passages that will be read the week they are preaching, and thus what passage(s) their sermon will address. They can utilize the sermons published in Equipper—we try to stay a full month ahead so preachers have ample time to prepare. For the benefits of having a preaching-teaching team, click here. Note also that having the preaching plan in advance helps other members of the worship team—worship leader, musicians, vocalists, Scripture readers, folks producing the bulletin, etc. It also can inform those who are teaching discipleship classes and Bible studies the same week—there is power in tying these pieces together with a common Scriptural focus. Read the passages assigned for the week several times (preferably in multiple translations). Prayerfully bathe yourself in the Word, seeking to understand what these passages are saying—look for commonalities. The Christ-centered (gospel) meaning (faith context)—concerning this issue, click here for a related Surprising God blog post. Now determine what part of the sermon provided you want to cover in your sermon—you may want to pare it down or cover it all. A presentation of what the text says (thankfully, this is covered already by the Scripture reading). An explanation of what the text means (be accurate, but careful not to turn it into a Bible study—a sermon seeks to deliver the true meaning with power, inspiration and dynamism; don’t get bogged down). Application of the text to the audience. This is vital, for we preach not for mere information, but for life transformation. In the sermons we publish here in Equipper we sometimes provide applications, but usually not—this is where you must know your audience and relate the text directly to their life situation, but note what you’re relating is the text that has been read, not something else. Thank you, this is very helpful, and very good .